The “current” flows through everyone and everything. People develop currentgifts (extra abilities) as they grow up, and a few have their fates revealed by oracles. Akos lives on the frozen planet of Thuvhe. He is the son of a farmer and an oracle, so when he and his brother are kidnapped by Shotet soldiers because of their newly revealed fates, Akos wonders why his mother didn’t intervene. Cyra is a member of the most powerful Shotet family. Her currentgift brings pain, pain to her and to anyone that touches her. As sister of a tyrant, Cyra is treated like a weapon, a life that has hardened her and brought her psychological, as well as physical pain. Together, Akos and Cyra will work to bring about a future even the oracles have trouble foreseeing. I was a big fan of Veronica Roth’s Divergent trilogy, and her newest book didn’t disappoint. She again uses the idea of a divided society (Thuvhists and Shotets) with differing social constructs and values. The novel started slow and it took a few chapters for me to get used to the unique names and understand the world, but once the scene was set I felt like the pace increased. Yes, the “current” feels a bit like the Force in Star Wars, and the varied currentgifts might make you think of the X-Men, but it didn’t bother me. 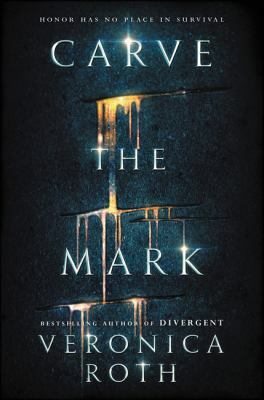 I enjoyed the story and could easily recommend it to fans of Veronica Roth, as well as anyone looking for a good teen science-fiction novel.